The first rains of the season have fallen here in Big Sur and the data are rather surprising . . . The last couple months have been full of productive but grueling work tending oaks and restoring native trees and soils. I appreciate readers’ patience while I’m off working in the forests and unable to blog. Remember, if I’m not blogging that’s usually good news for the trees. Hopefully the coming rainy season will give me some respite from work and allow me time to share more results. 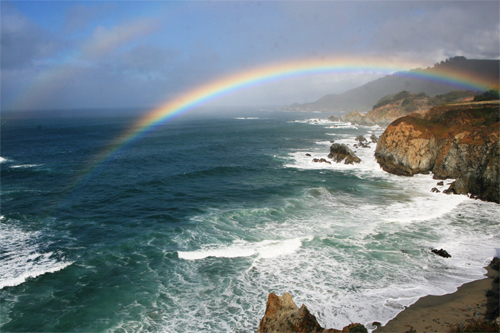 Speaking of the rainy season, it has begun here in Big Sur and I’ve measurements already from two (small) storm events. Watch for the October rainfall pH data in a post in early November. My good friend Kevin Feinstein has a recent post on the masting behavior (production of bumper crops of acorns) of valley oaks. He notes that this year there has been very few (“virtually none”) acorns produced by valley oaks across the region. My observation is the same, that this is not a “mast” year. He also has some interesting observations on the frequency of valley oak masting events over the past 7 years. Please check out this and other posts at FeralKevin.com.